Class, [Type]: Meko 200 T1, [FF]. Displacement ( tons ): 2400 standard, 3000 full load. Dimensions ( metres ): 115,5 x 14 x 4. Main machinery: 4 x MTU 20V1163 TB93 diesels ( 30000 hp ). Speed ( knots ): 27. Range ( miles ): 4100 at 18 knots. Complement: 180 ( 24 officers ). Guns: 1 x 1 127mm Mk45 Mod.1, 3 x 4 25mm Sea Zenith GM25 CIWS, 2 x 12,7mm. 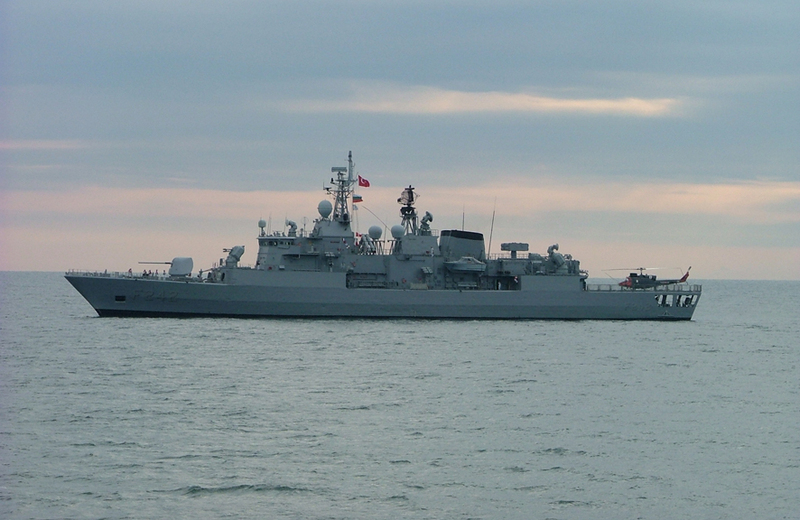 Missiles: SSM: 2 x 4 Harpoon; SAM: 1 x 8 Mk29 Sea Sparrow ( 16 RIM-7M missiles ). Torpedoes: 2 x 3 324mm Mk32 ( Mk46 Mod.5 torpedoes ). Radar: Air search: DA-08; Surface/air seach: AWS-6 Dolphin; Navigation: Decca TM 1226; Fire control: WM-25; STIR, TMKu; TACAN: AN/URN-25. Countermeasures: Decoys: 2 x 6 Mk36 SRBOC, AN/SLQ-25 Nixie; ESM/ECM: Ramses. Helicopter: 1 x AB-212 ASW. 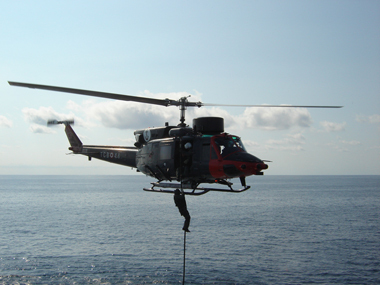 AB-212 organic helicopter on board the TSG Fatih.